How old is Hillary Clinton? Many Americans don't know. Not a day over 59! It’s well-known that many Americans don’t know which party controls the houses of Congress, can’t name the vice president, and think that Iron Man is on the Supreme Court. Young Americans are particularly known for their lack of expertise (and general apathy, as only 21 percent of them voted in the midterms). 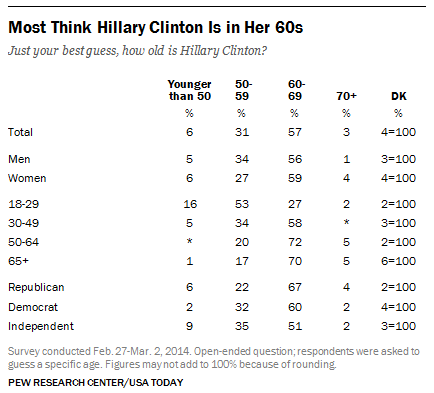 Young people don’t even perceive Clinton as particularly old. According to a recent Pew survey, an incredible 69% of 18-29 year olds think Clinton is either in her 50s or younger. Just 27% accurately place her age as between 60 and 69, while only 2% say she’s older than 70. 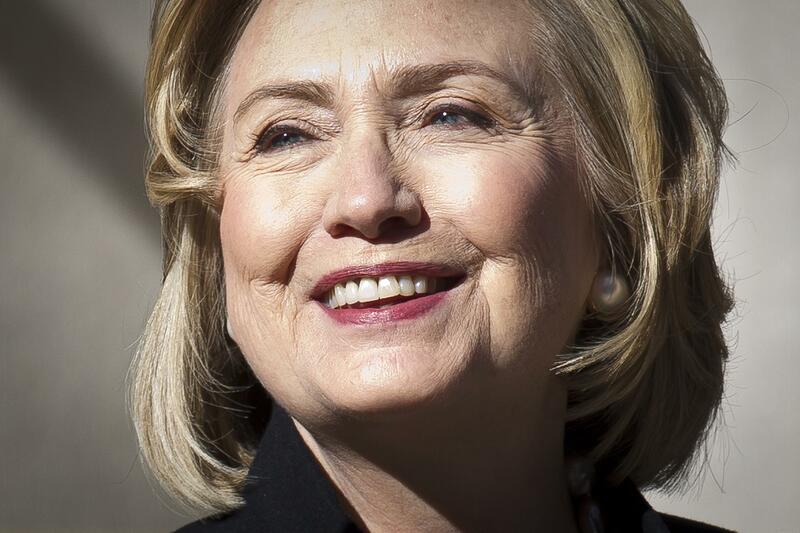 Sixteen percent of millennials think Hillary Clinton is in her 40s. Put another way, 16 percent of millenials believe that, when Hillary Clinton became first lady in 1993, she was no older than 28.